The most wanted Albanian by American missionaries in the 1920s: He is a jewel, speaks 18 languages and all wisely! In their mission, they would be assisted by different Albanians who would provide their services for physical security, transportation, translation, etc. During their stay in Albania, the American missionaries would document their work with photos and give their impressions of the country. Albanians language skills and their behavior would impress foreign missionaries and for this purpose they would make positive evaluations. In the list of characters that the missionaries described as extraordinary were two translators. The photo of the main translator called Kolë is found in the American Library Congress archive. He was considered by American missionaries as an honest and trustworthy man. Kola worked for 30 years at the French Consulate in Shkodra and in 1920 joined the Red Cross mission as a translator and as a confidential messenger. "All American mission workers say he is a" jewel "and this is a great compliment to a man who is worth," is said in the photo.. His reputation would also go abroad, where the American newspaper would write about the skills of the Albanian who spoke 18 different languages in a "wisely" manner. 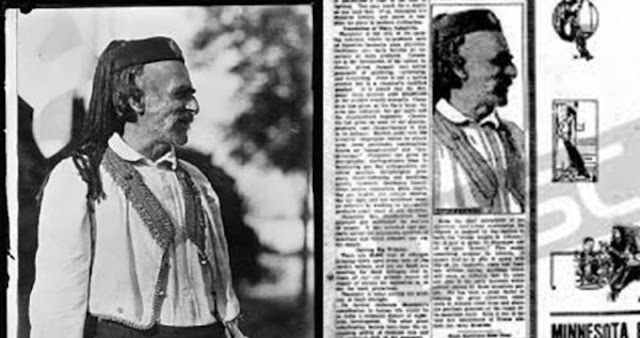 The article of the American newspaper would highlight the fact that Kola, with his communication skills, was able to be a mediator between Albanian tribes involved in various armed conflicts. "Kola, the chief translator of the representatives of the mission of the American Red Cross in Albania, has for the locals the reputation of the "smartest language" in Albania. He is said to speak 18 languages and all wisely. This is something unusual in Albania. This means that he is capable of speaking to each of the many tribes of the country, without saying any word that can leave the possibility of misunderstanding as it is holding side to the clashes between the two sides. It has been an important factor to keep out of the quarrels the American mission that distributed aid. Kola is one of the few residents of Tirana who does not carry with him a firearm," wrote in Minnesota's article of May 3, 1920. Another extraordinary character for the communicative skills that is recorded in the US mission archive is a small boy who speaks five different languages. In the picture accompanying the picture, the boy from Tirana is termed as a "new and promising talent" in the field of linguistics. "This Albanian boy speaks 5 different languages. He was employed by American missionaries as a translator and messenger. This boy has never gone to school but has been taught by his father, the prefect of Tirana, who graduated from the American College of Constantinople.